Everything comes neatly packaged in a reusable tin! A Zoo Day Pass or Annual Pass for a child, individual, or family. ** A tax receipt of $55.00 is issued with this package. 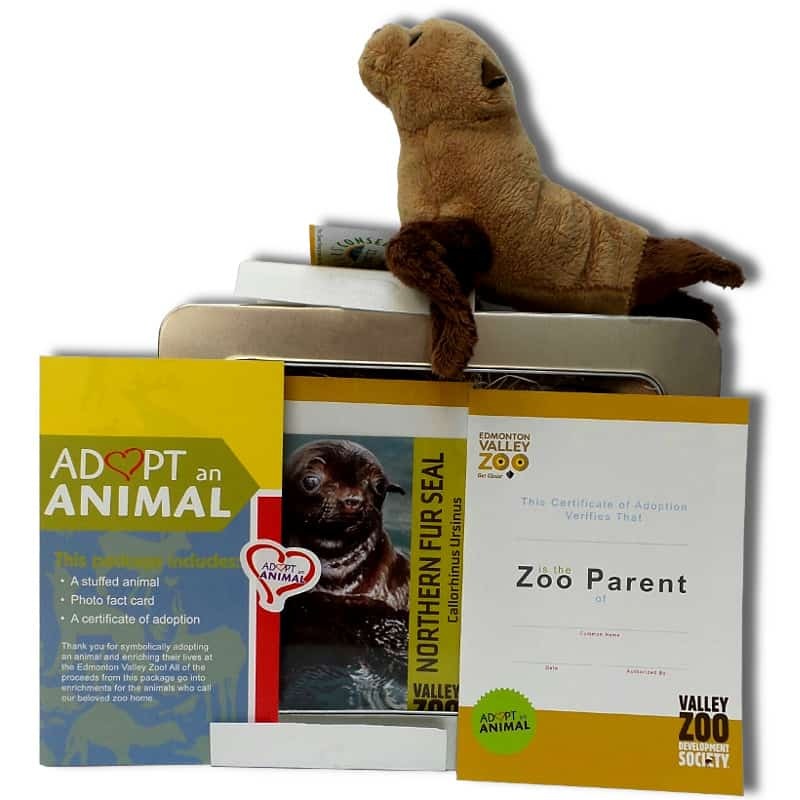 Gift card and zoo pass purchases are not eligible for tax receipts; if you add these options, the tax receipt will be issued for the donation amount only. Tax receipts are sent out shortly after the Adopt An Animal package is shipped.